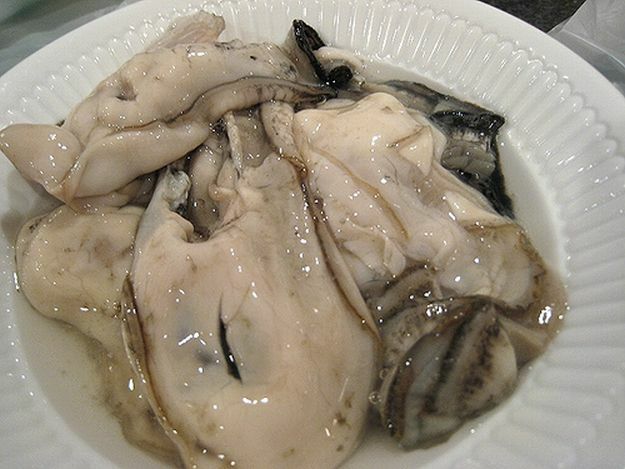 This is a very simple appetizer to put together but the combination of salmon, oyster, shiso leaf, fresh ginger, pickled ginger, served with a ponzu and freshly grated ginger sauce result in a wonderful bite. All you need to do is to roll an oyster with shiso leaf on a piece of smoked salmon or gravalax and that' is the main work of the dish. 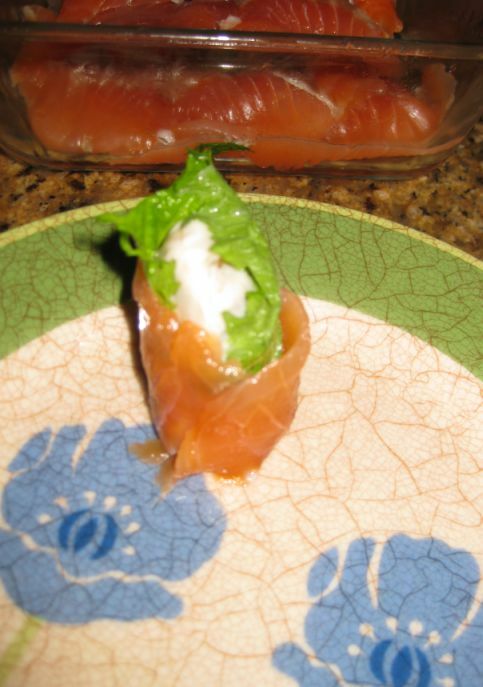 The Oyster Salmon roll dish is from Nobu but I changed it a bit by replacing the smoked salmon with home-made gravalax. 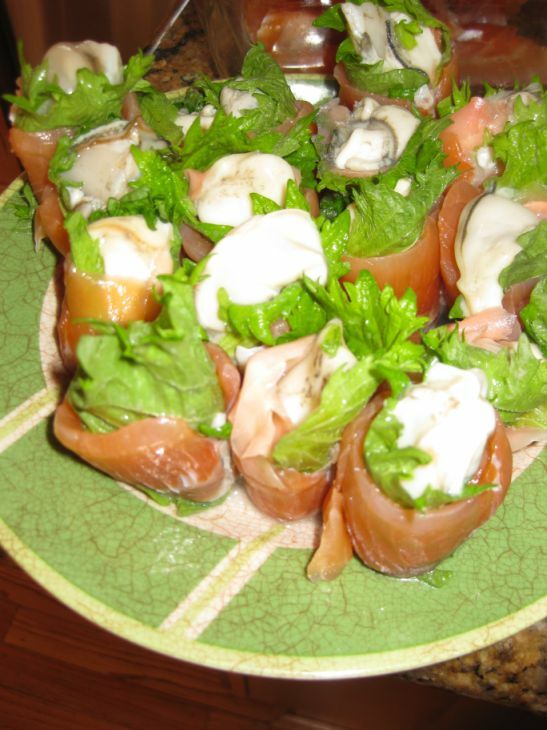 If you want to make this appetizer easier than feel free to just purchase the smoked salmon instead. 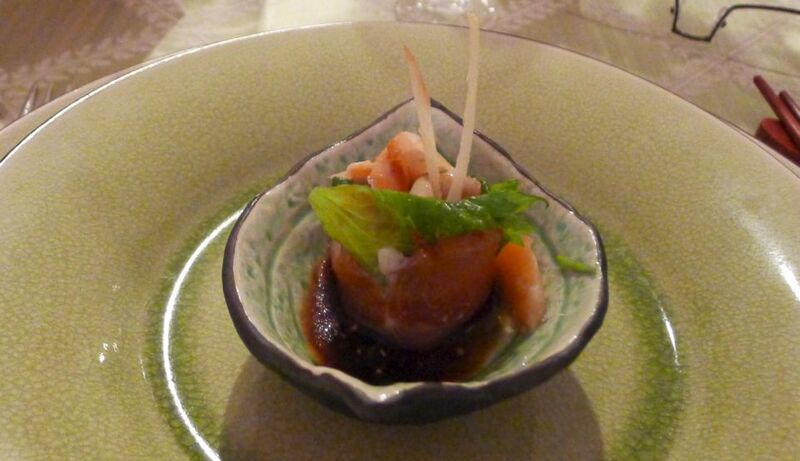 I served this appetizer at my Japanese dinner and all my friends voted this dish as the best of Nobu! Simple but yet elegant and so yummy! 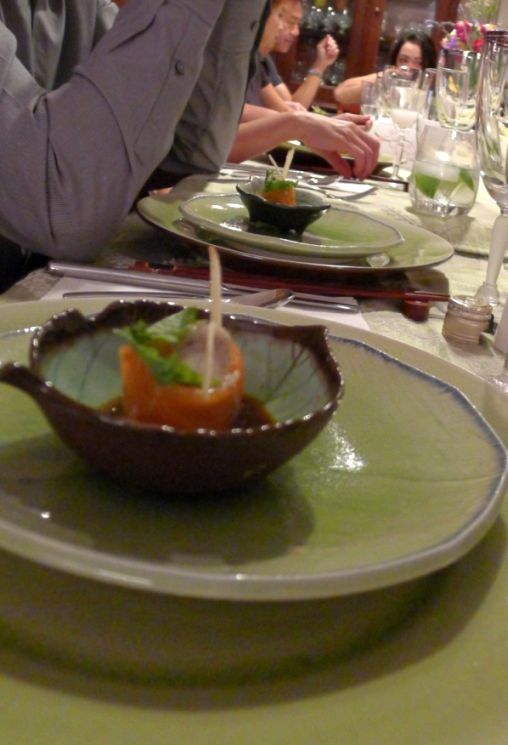 I served the oyster salmon roll with a ponzu and grated ginger sauce. 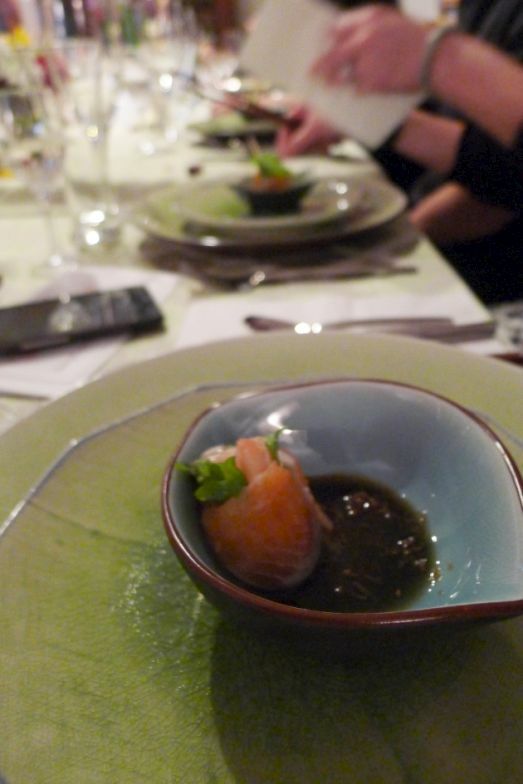 The sauce really enhance the flavor of the oyster and salmon. 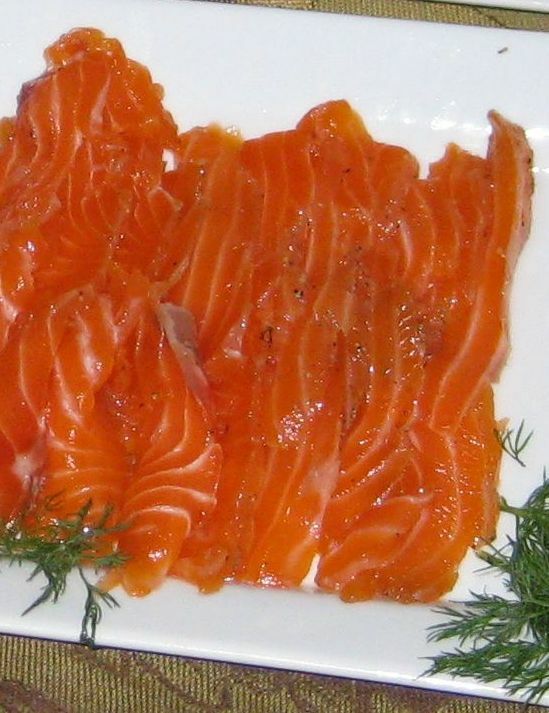 You can simplify by buying smoked salmon for this recipe. I made my own gravalax but again you can just buy smoked salmon and replace it. 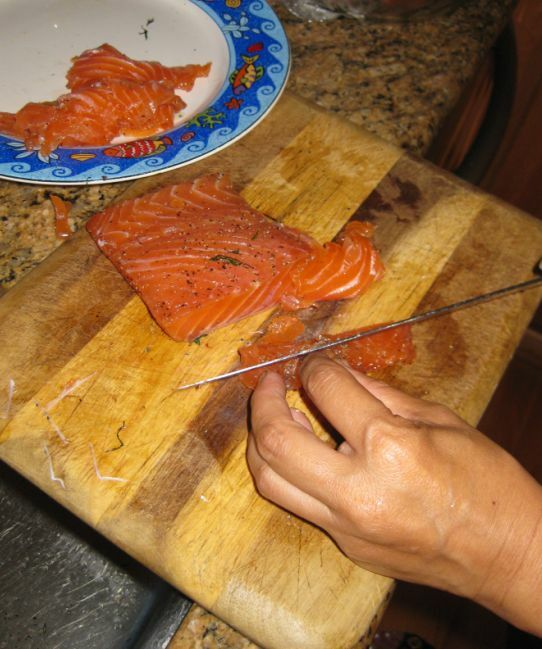 Cut the salmon into thin slices. 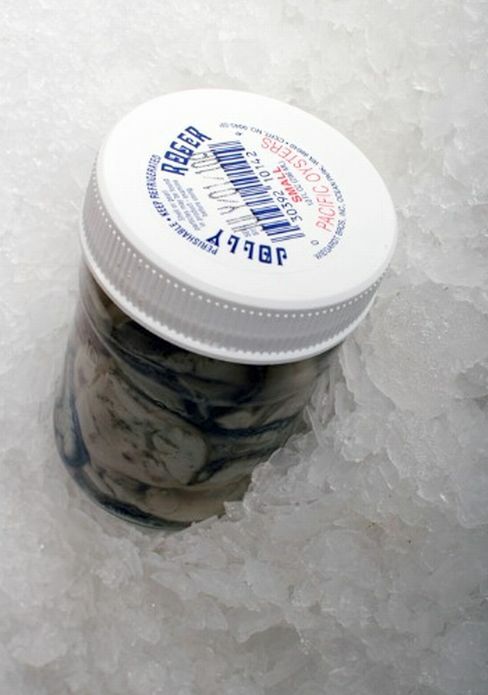 I buy the oysters in a jar. They are huge so I have to cut them into half for this recipe. 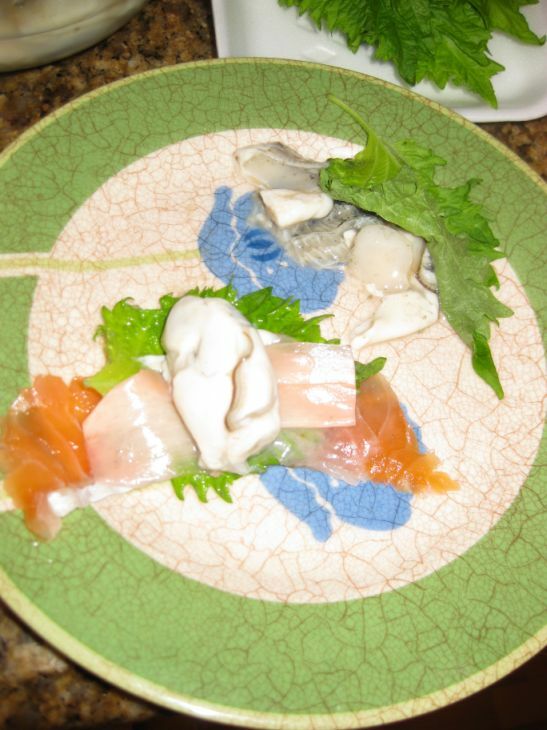 Lay a piece of salmon down on a plate, put a shiso leaf of top, add the a slice or 2 of pickled ginger, add an oyster on top and start rolling. Put each roll on a plate. when you finished rolling all of them put them in a fridge. Prepare this dish maybe 1 hour in advance but not longer than that. 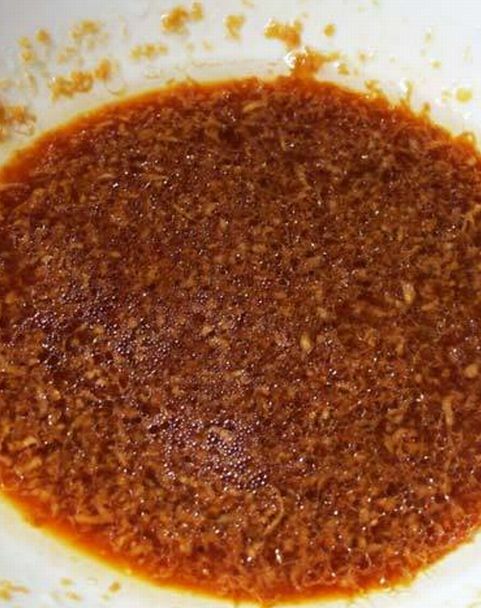 Prepare the sauce by mixing the ponzu sauce, the freshly grated ginger, and sugar. Taste it and make sure the sauce should be on the sweet side.